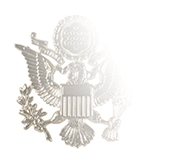 Crafted to meet all Mil-Spec requirements and Navy specifications and authorized for wear with the four-in-hand tie (hand-tied or pre-tied), these gold tie tack and tie clasp feature the eye-catching Naval Flight Officer insignia. 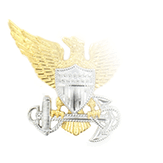 Although the Naval Flight Officer designator was approved in 1965 for unrestricted line officers serving in an “aeronautical organization” who could fill any billet that didn’t require knowledge of actual flight control of an aircraft,” its insignia was not approved until 1968. 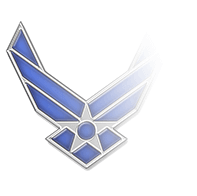 It replaced the Naval Aviation Observer insignia (and all references to that designator were changed to Naval Flight Officer). 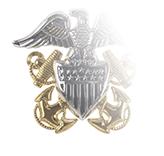 Originally intended for wear by Navy and Marine Corps personnel who had earned the new designation, the insignia is now also worn by qualified Coast Guard personnel (see MILPERSMAN 1210-010). They are to be positioned an inch below the mid-point of the tie. 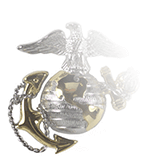 The uniform coat should cover it when appropriately placed.